With what the experts are calling an epic El Nino coming our way, we have been making preparations to ensure our home is ready to withstand higher than normal amounts of rain and likely heavy winds. The roof is the most important part of your home, providing shelter from the elements and keeping your family safe. But like anything else that braves the outdoors for 20 years or more, your home’s roof is bound to eventually show its age. You may get to a time when you need to use the repair services of a roofing company, or you might be in the market for a whole new lid for your house. Perhaps you just bought a new commercial property and want to learn about your options for roof replacement materials. We’ve gathered the basics of roof top considerations for you so that you can treat yours with care. The materials on your roof can depend largely on where you live and what type of building you’ve got. Commercial buildings often have flat – or low-slope -- roofs that are topped with hot asphalt and layers of felt or with polyurethane. Foam roofs are ideal in hot climates as they cut down on thermal shock and can help reduce energy costs. Residential properties are much more likely to have asphalt shingles or clay tiles on top. Asphalt shingles are the most common type of roofing around the country as they handle all types of weather well and have a long life. They also can be purchased in many different colors or even patterns. Clay or concrete tiles are popular in hot, arid climates and fit in nicely with Spanish- or Mediterranean-style architecture. They are extremely long lasting and also come in a variety of colors. One caveat with tile roofs is their weight. If you are considering installing a tile roof in place of an asphalt one, be sure the structure can support the additional load. In the eastern part of the nation, metal roofs are more common, especially in places that get a lot of snow. The strength and durability of metal roofs make them perfect for that type of weather. No matter what type of roof you have or want to add to your home, there are certain parts of the system that are prone to problems. Water leaks are the most obvious indication that there’s an issue with your roof, but a visual inspection can also reveal a number of problems. Flashing is the term used for metal that is used in roofing systems to divert water away from seams and valleys. Deterioration of the metal can lead to leaks and should be corrected right away. Sealants around vents and chimneys also are worth checking periodically for damage and should be re-caulked immediately if a leak occurs. Of course, Mother Nature can play a role in the lifespan of your roof. High winds can send trees crashing down or at the very least lead to missing or broken roofing materials. Homeowners or commercial-property owners should plan a semi-annual inspection of their buildings to check for damage to the roof. The expertise of a roofing company can be helpful in assessing the damage and deciding which repairs should be made. Regular inspections and repairs are two ways to prolong the life of your home’s roof. There are plenty of other actions you can take to boost its longevity, though. For example, if you have a tree located near your home, make sure none of its branches are scraping the top of your house. Repeated rubbing will damage the shingles or tiles and could lead to leaks. Leaf debris piles on the roof retain moisture and harbor pests, so they should be removed promptly. The same goes for your gutters. If they are full of leaves and can’t drain properly, there will likely be damage to the fascia boards around your roof line that could result in the need for costly repair. When you do need the services of a roof repair company, be selective about which you choose to work with. Only consider candidates who have a contractor’s license, a tax identification number and liability insurance. Ask for references from recent clients and check the companies’ online reviews. Don’t be afraid to ask detailed questions about your project. An experienced roofing contractor should be able to explain the process and products clearly, as well as indicate why he or she prefers certain materials. Walk away from any person who doesn’t plan to work under contract. You need that document in order to get an accurate representation of the scope of work and other details of the job. The contract should outline the materials, timeframe, responsibilities, and costs involved throughout the process. Don’t sign the dotted line until you are 100 percent comfortable with the details as stipulated. Because the roof of your home or commercial building is a basic structure, you probably don’t spend time thinking about it unless there is a storm on the way. However, there’s a lot to know about how a roof affects your lifestyle. For example, if you are into conserving energy, you might want to install solar panels up there. 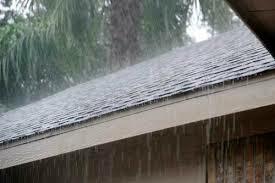 Make sure to choose a licensed installation company that can do this without causing roof leaks. 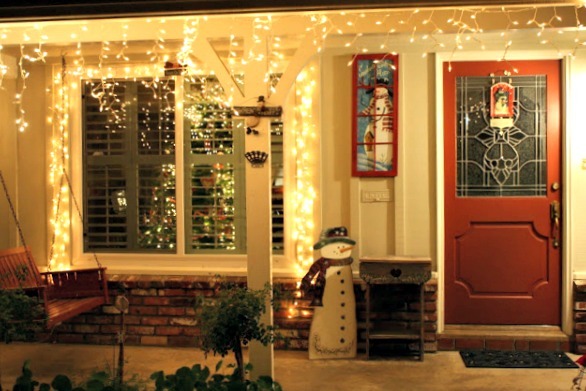 Your roof also serves as a place to mount holiday lights or decorations. Never use nails to hang lights; removable plastic hooks are available for that purpose and don’t introduce holes. The soffits under your roof line likely have vents that allow air in the attic space to escape and minimize heating and cooling costs. Don’t let those vents get blocked or closed in any way, or you could be looking at come costly repairs. The crown of you home does more than keep the rain out. It provides a safe structure that is important to your family’s comfort. When you take some time to make sure it can operate to its maximum efficiency, it can protect you for years to come. With the drought we have had, I say bring on the rain. We are ready and prepared. Roofs are one of those things that we need, never think about and hate to pay for when the need arises. Our roof was installed in 2003 when we added Steve's studio onto the house. So far, so good!